There comes a time in every gal's life when she makes the transition from shopping cheap and cheerful out of sheer necessity to finally being able to splurge on the finer things in life, at least every once in a while. The problem is with so much to choose from how does one decide on the perfect 'investment' piece and really, what items in our wardrobe are worth going for the upgrade? These very questions have been the subject of many a girls night out of late and even come up amongst the hug team so I thought I'd share my take on where to splurge vs. scrimp across various wardrobe essentials covering a new investment piece each month. Considering you've got to carry your wallet and personal belongings in something anytime you leave the house, I rank the every day handbag as one of the first pieces in your closet that deserves a splurge. While an evening bag only comes out every so often (unless you're moonlighting as a socialite) a great day bag goes with you everywhere so why not invest a little bit more in a piece that works so hard in your wardrobe. Bags can range from that $5 clearance find to well over $50,000, so here are a few guidelines to help you get the most value out of your purchase. Tip #1 - Budget to spend $200 at bare minimum. With handbags, you absolutely get what you pay for and generally what you're paying for is the length of time you can carry your bag without it falling apart and, yes, the status associated with the brand is factored in there as well. Let me assure you, more expensive bags are constructed from higher end and more durable materials, have better quality hardware, and are crafted with meticulous care, often by hand. This means they last for years...and with proper care, generations. Bottom line: buy the best you can afford. Tip # 2 - If you're planning to spend over $1000 on a designer bag, go with an established brand that has a history of producing iconic, yet timeless bags -- Louis Vuitton, Chanel or Hermès come to mind. Though each brand carries clout, I'd still go with the most popular styles or any limited editions they produce. Both will appreciate in value if you take proper care of them. Tip # 3 - If you're shopping in the under $1000 category, you still may want to consider a recognized label like Michael Kors, Gucci, or Kate Spade. Bags in this category are super easy to re-sell on consignment or auction sites like eBay, but only with a recognizable brand and a piece that's in top condition. 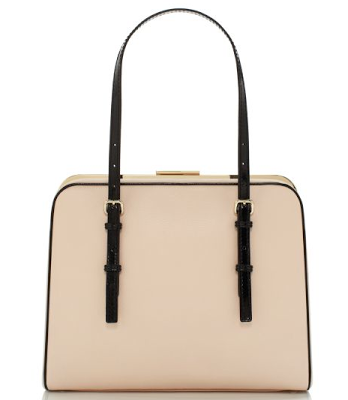 Tip #4 - Go for a classic silhouette not the "It" bag. As fun as it is to be on trend, unless you can afford to splurge regularly, it's not wise to buy the bag of the season. You're likely to get tired of it and fast. 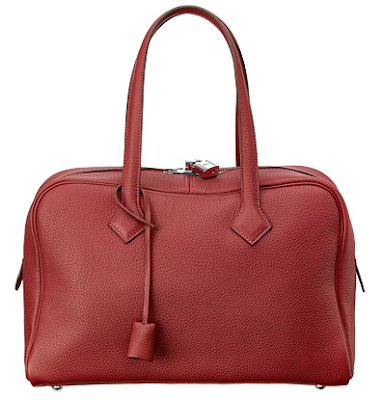 Plus, a less expensive bag in a more classic shape tends to actually look a little more rich. Something to keep in mind while you're saving up for your big splurge. Tip #5 - Along the same lines as my previous point, stick to neutrals especially if you're going very high-end. This simply extends your ability to wear your piece with everything. Black is classic, but you might also opt for camel, beige, grey or even navy. Of course, this is just a suggested "best practice". If you're very into colour, or trying to work more colour into your wardrobe, a vibrant handbag might be perfect for you. Tip #6 - Do some research before dropping any coin! Start with a little window shopping first to see what styles and shapes are out there at different price points and make sure you're shopping from a reputable source. Consignment or vintage stores are fabulous ways to score a designer bag on a budget, but do a little background checking to be sure you're paying a fair price for and getting an authentic item. By the way, if it seems to good to be true, it likely is. 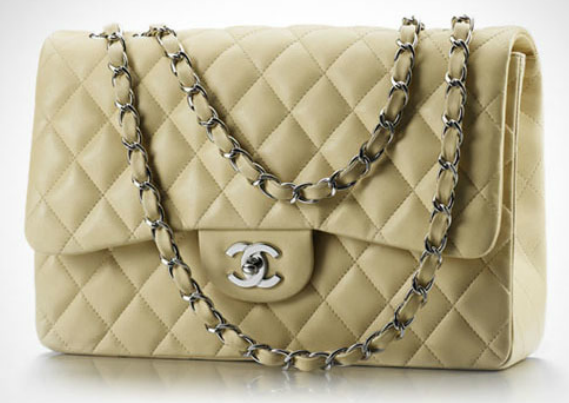 Counterfeiting is still a huge problem in the high end handbag market so buyers beware. Above all, remember that choosing an investment bag is a highly personal decision so along with keeping these six tips in mind, don't forget to choose a bag you really love at a price point you can actually afford (or at least pay off within a month) and will want to wear on a daily basis for years to come. 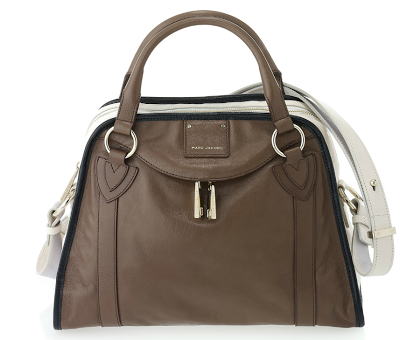 If you're not ready to commit, there are tons of great bags in the $100 - $300 range (think: Danier, Coach etc.) that are a little more accessible and still a step up. Last but not least, once that bag is yours, be sure to care for your investment bag with love, keeping in it's dusting bag when not in use and protecting it from hazards like water bottle spills and pen marks so you can keep it in mint condition. I would consider Winners for handbag shopping. Easily a 50% discount off a great leather bag. I wonder about the authenticity of Winners' supposed designer hangbags. I was researching a DKNY bag that only comes in saffiano leather, then saw it at Winners--except it wasn't saffiano, it was smooth. What is the deal with Winners? Also, purseblog.com and forum.purseblog.com (I promise that I am not spamming) are some great online resources to learn about designer handbags before you make a purchase. I bought my first investment bag this year! A Kate Spade bag. I'm also eyeing Chanel..but I'd have to save up!